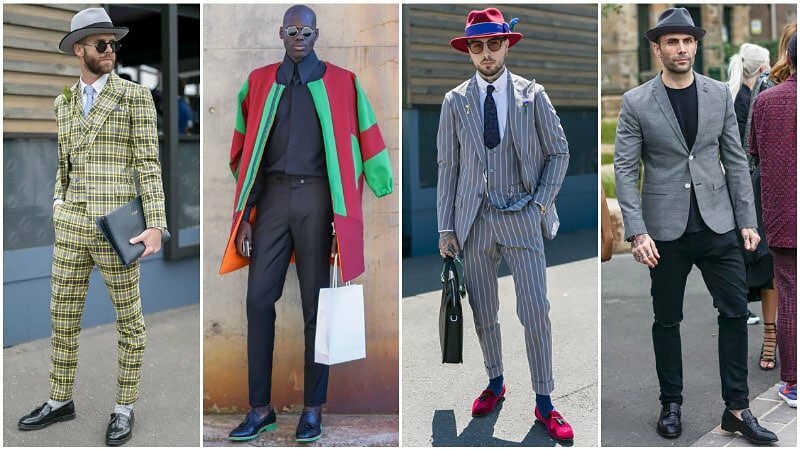 Being able to present a polished appearance is a valuable life skill that every gent should have in his arsenal. 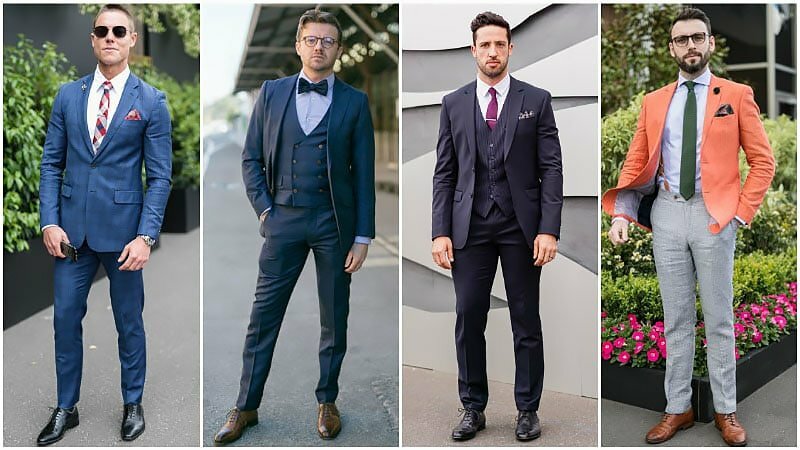 Whether you’re dressing for a job interview, a formal function or even a date, being able to look the part is essential for success. 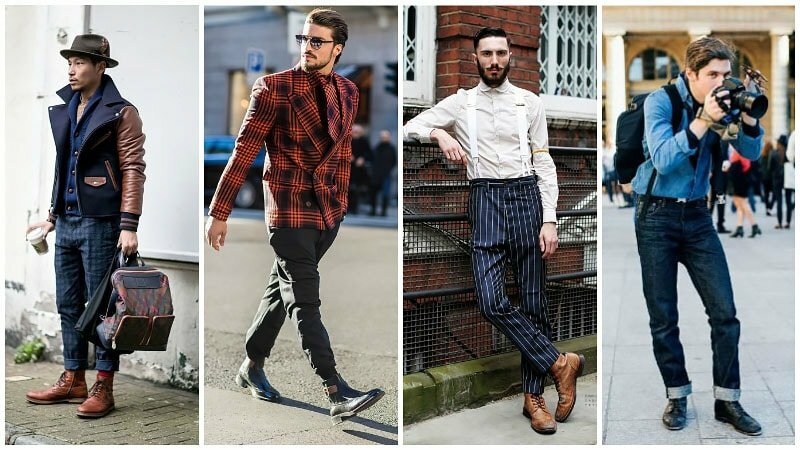 While your clothes are naturally a major part of how you present yourself, your shoes are just as important. 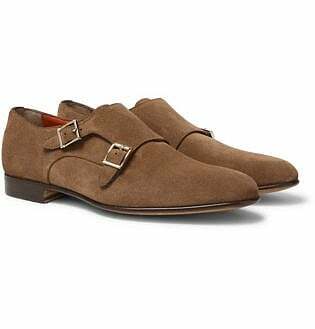 A man’s shoes say a lot about him whether he wants them to or not, so nailing your footwear choice is crucial for projecting the right image. 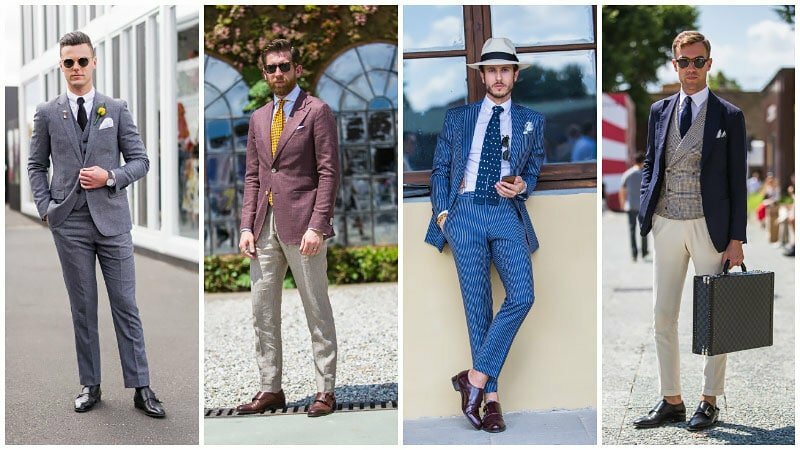 We have compiled the best men’s dress shoes that every man should own. 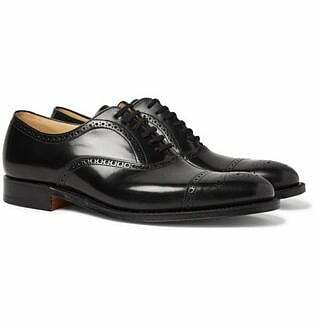 The Oxford is a classic men’s dress shoe that belongs in every gent’s closet. 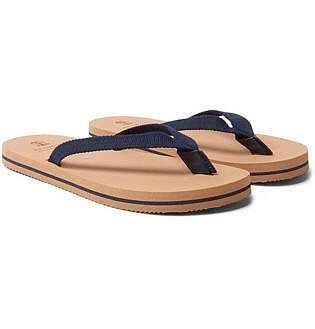 It can be identified by its closed lacing system, which features stitching across the bottom. 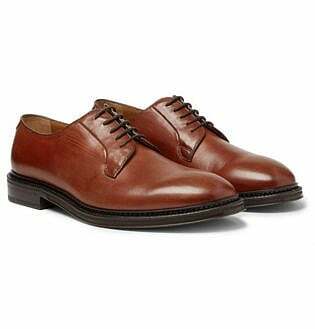 Oxfords also tend to feature a low heel and short back, creating a neat and polished appearance. 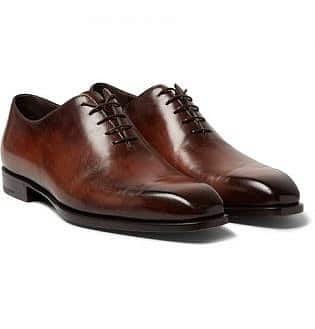 Perfect for pairing with a suit, Oxfords are a reliable choice for every formal occasion. 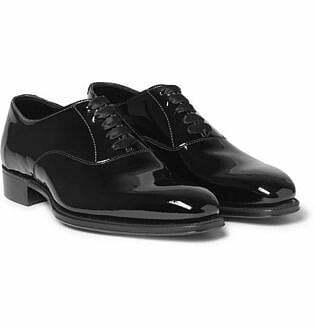 While black, polished styles easily work for the highest of dress codes, other varieties of Oxfords can suit any number of events. 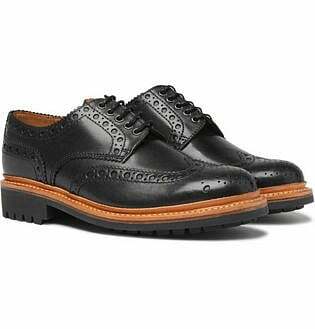 Brogues can be a deceptive shoe type. 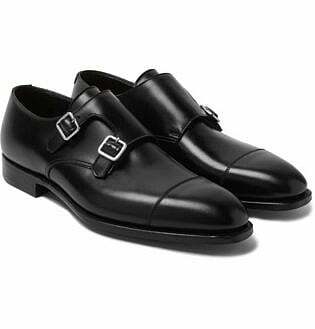 The name actually comes from the process of broguing, which involves adorning shoes with heavy perforations (large pin pricks). 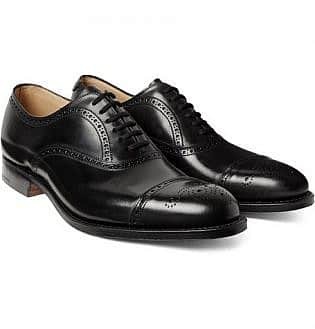 As such, shoes which are technically another style, such as Oxford or Derby, are often classed as Brogues because of this decorative addition. 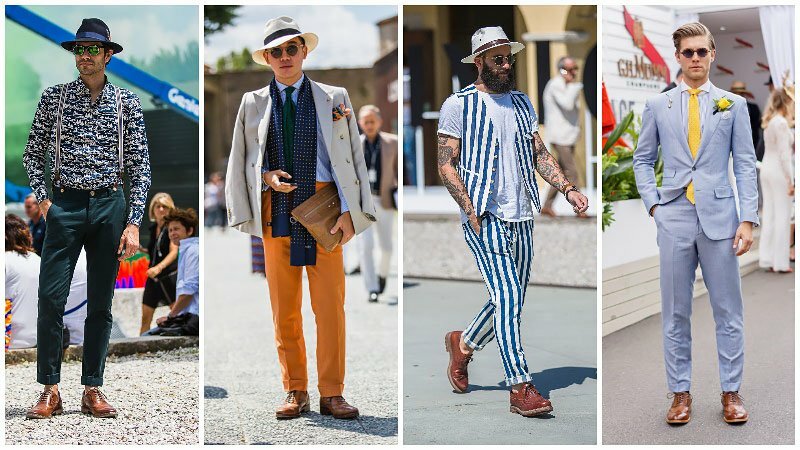 Confusing or not, the unique look creates a shoe with personality and style. 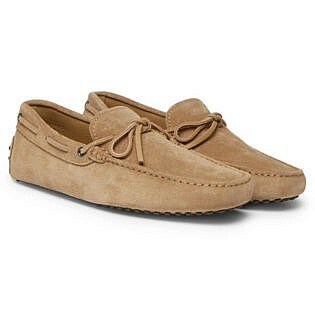 Best of all, they can be worn with anything from jeans to a suit. 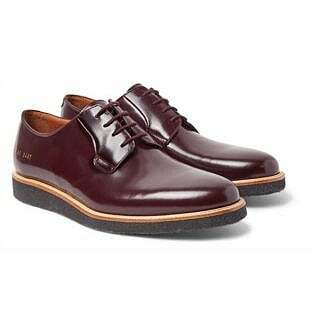 Like Oxfords, Derby shoes are another common type of dress shoe. 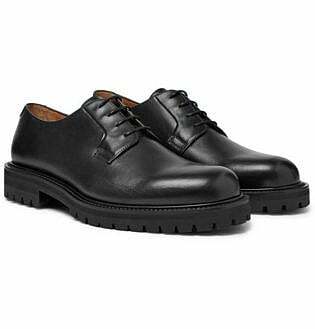 Slightly less intricate in design, however, Derbys feature an open lacing system, unlike oxford shoes that have the bottom of the lacing section sewn closed. 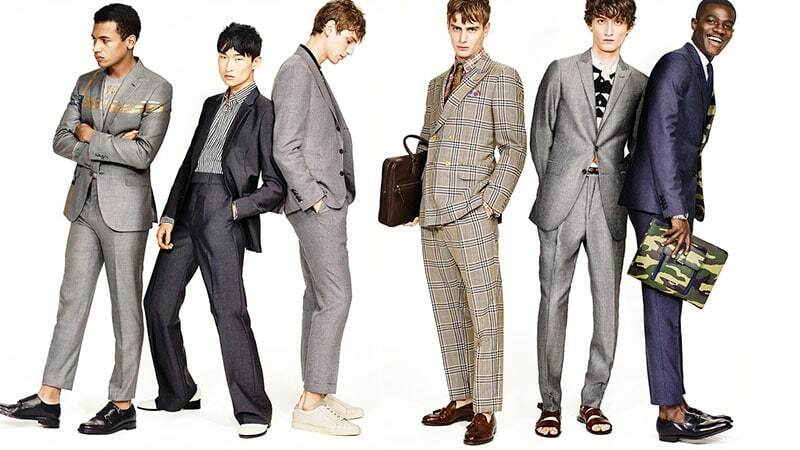 The comfortable style is suitable for most formal occasions and can easily be paired with a suit. 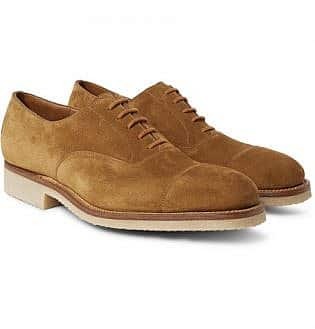 While traditional leather varieties of Derby shoes are perfect for a classic, polished look, other types, in materials such as suede, are ideal for a slightly more casual look. 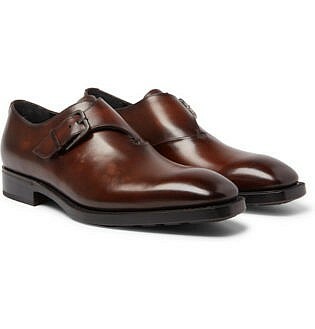 Monk-Strap shoe is a stylish and unique dress shoe. 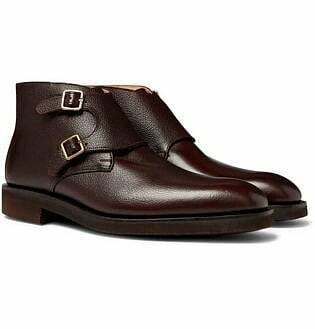 Featuring a strap across the top and a buckle (or two), the sleek design can be worn with a number of formal looks for everything from a business meeting to a night out. 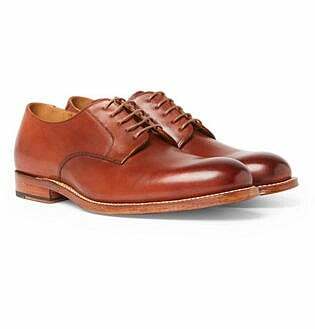 The popular and fashionable shoe is also a great choice for gents seeking a polished style with more interest than the standard Oxford or Derby. 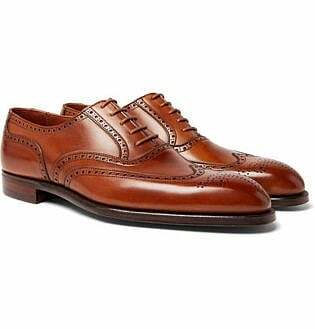 Just be sure to choose a leather style with a bit of shine to keep the look refined and suitably sharp. Loafers are laceless shoes often featuring a Moccasin-style construction. 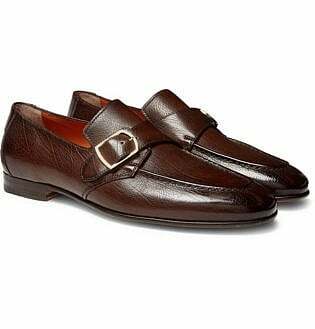 The comfortable slip-on shoe is perfect for adding a stylishly relaxed touch to formal outfits. 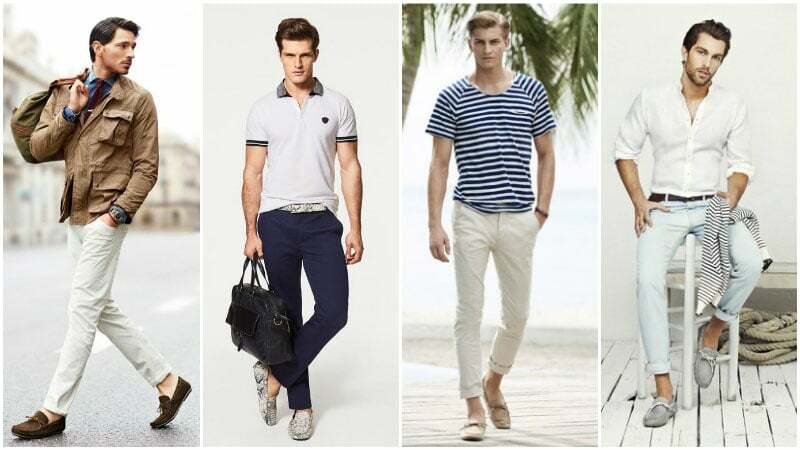 Although loafers can work with a number of looks, they pair great with suits, especially those worn with flare. 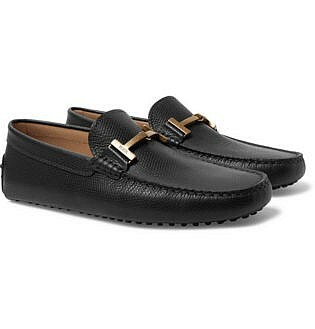 Choose between varieties such as classic Penny loafers and tassel loafers in leather for a unique and dapper look. 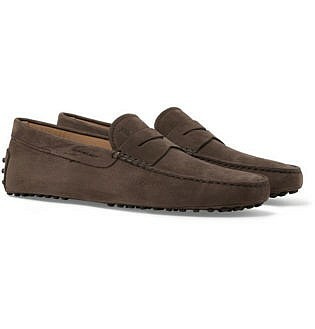 If you really want to impress, however, a decadent pair of velvet loafers will undoubtedly do the trick. 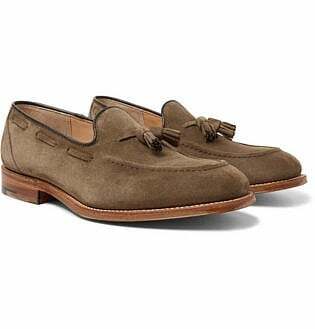 Driving shoes may favour comfort over traditional style, but they’re still a great dress shoe to have on hand when the occasion calls for it. The loafer-style shoe features a gripped sole that extends up the back of the heel. 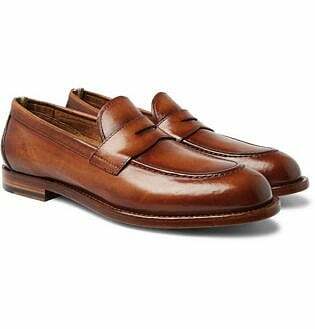 Designed to assist gents with driving, the practical piece of fashion is breathable and light, making it the ideal dress shoe for summer. 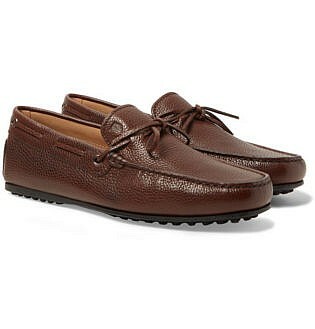 Perfect for outdoor events, this simple yet stylish shoe pairs best with chinos and a light shirt. 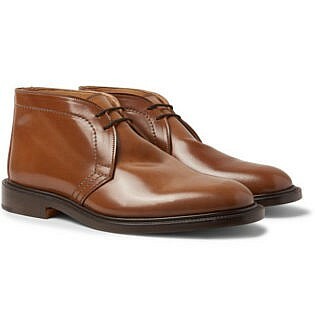 When you think of dress shoes, you may not immediately think of boots, but maybe you should. 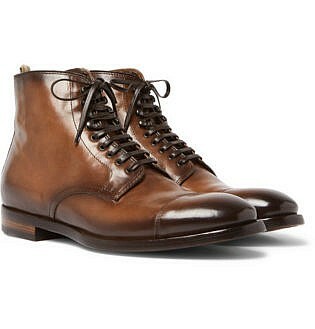 After all, the right style of boot can provide gents with a great finishing touch to formal looks. 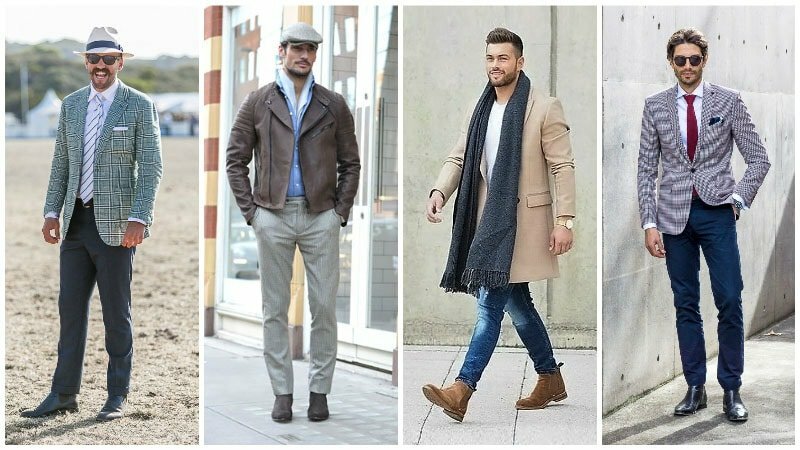 Chelsea boots are one such style and can be paired with anything from a casual look to cocktail attire. 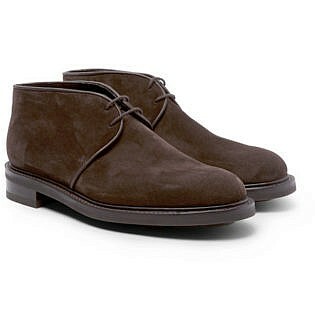 The round toe, ankle boots feature elasticated sides that make them easy to slip on and off without laces or buckles. 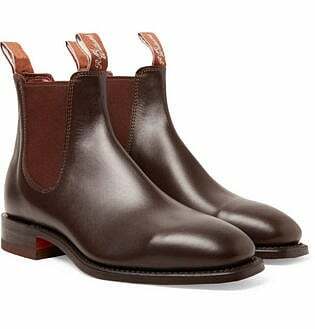 Departing with these traditional fastenings allows the Chelsea to create a super sleek and clean look. 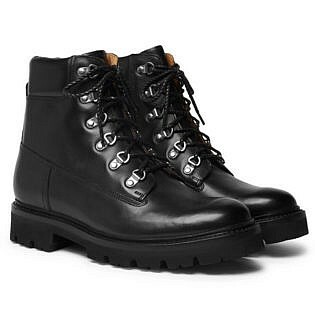 Dress boots are another style of boot that can be worn dressed up. 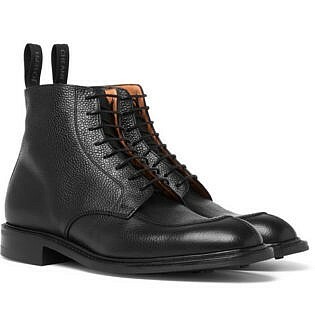 Unlike Chelsea boots, dress boots feature laces down the front and finish above the ankle. 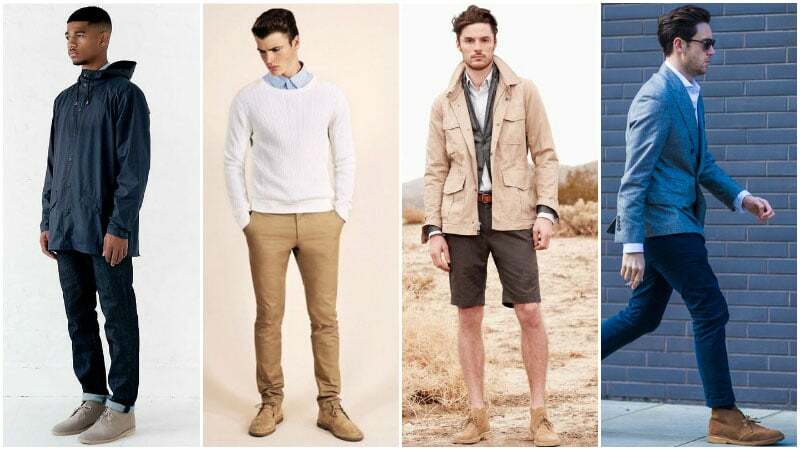 The slim style projects a subtle utilitarian vibe and offers outfits a slight edge. 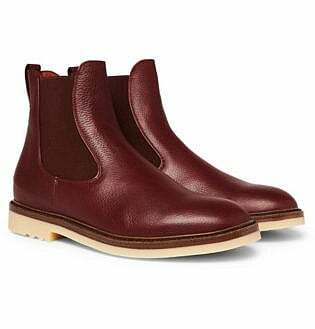 Perfect for partnering with casual eveningwear and stylish weekend wear, dress boots look best in black or brown leather and will add plenty of interest to your outfit. 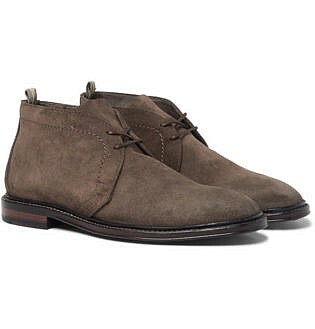 Chukka boots are a comfortable style of dress boot that finish at the ankle. 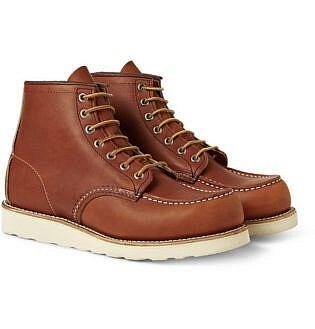 Their shorter height means that they feature minimal lacing, creating an uncomplicated appearance. 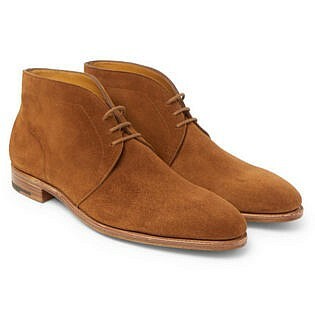 It’s this simple yet sharp style that also makes Chukka boots ideal for both smart casual and semi-formal dress codes. 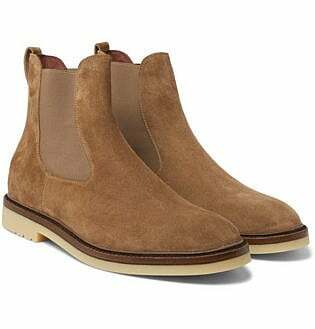 Although the style does sometimes appear in traditional leather, it is most commonly featured in suede, which also adds to the shoe’s relaxed image. 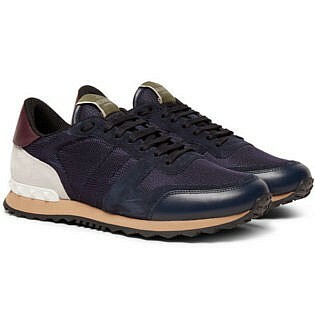 These days, sneakers aren’t just restricted to casual wear. 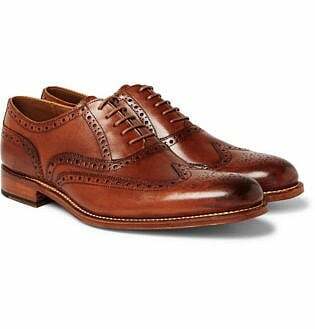 The right pair can easily make a modern dress shoe and be worn for numerous occasions. 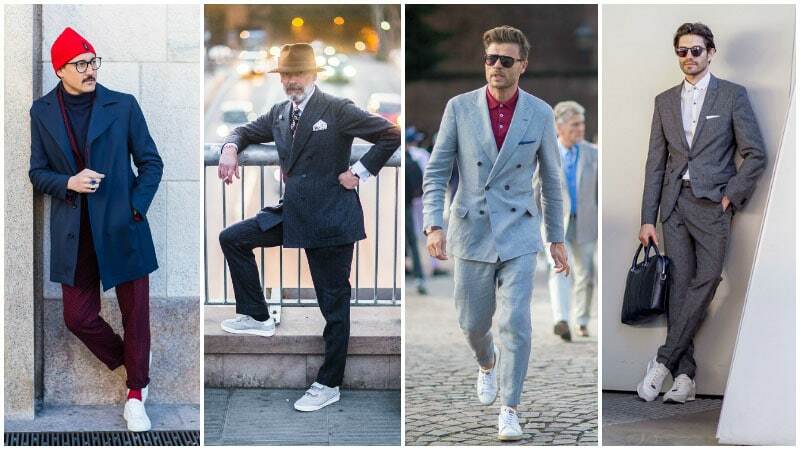 Whether you’re headed to the office, out for a drink or simply wandering around on the weekend, sneakers are a comfortable and cool choice. 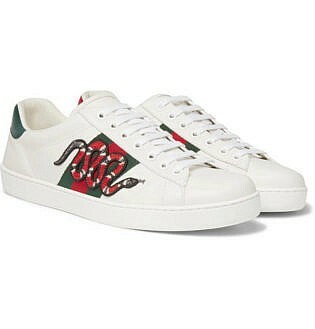 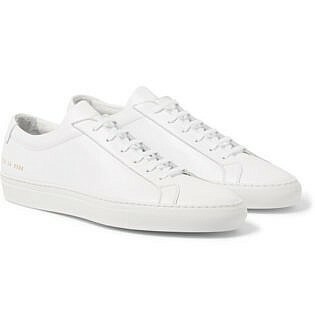 To ensure your sneakers won’t look out of place next to sharp, tailored clothes, choose a clean and minimal white pair. 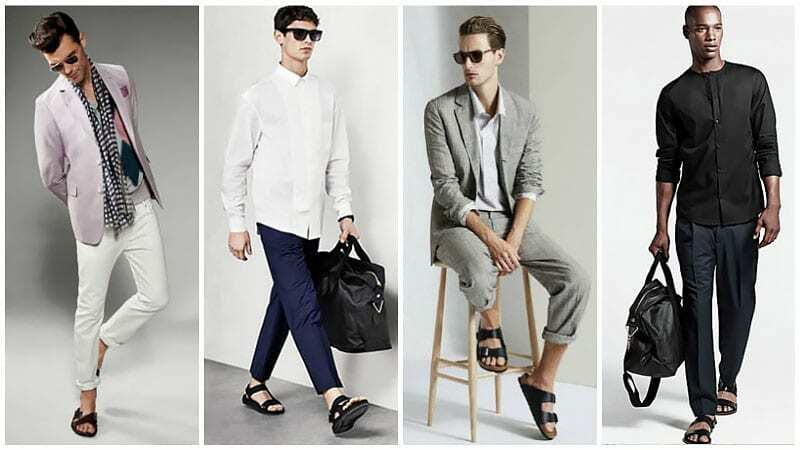 When it comes to summer, you needn’t sweat your feet off just to look stylishly dressed. 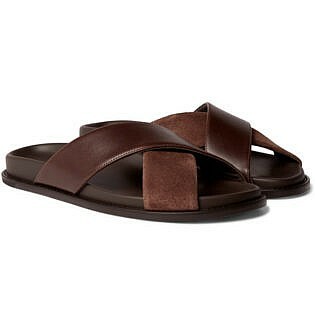 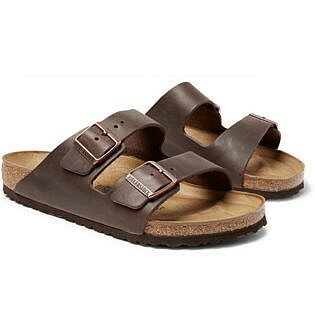 While flip-flops are undoubtedly an inappropriate choice for formal and dressed-up occasions, a nice pair of sandals can be just what your outfit needs. 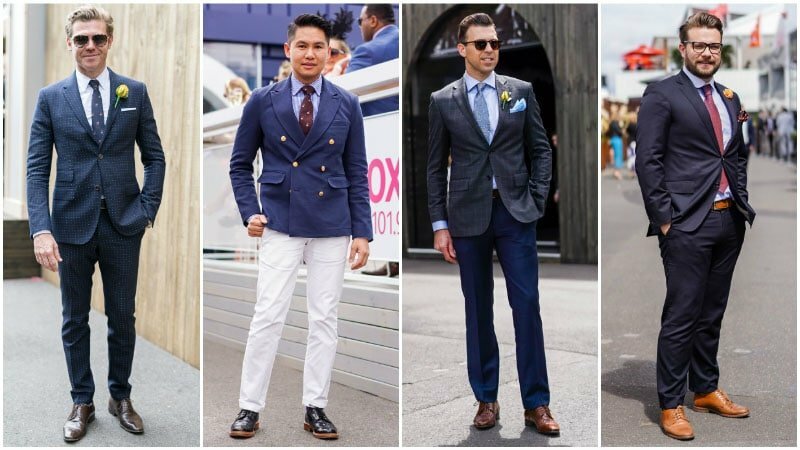 Although you can’t rock them to a black-tie function, you can wear a pair to smart casual events and general weekend get-togethers where you want to look your best. 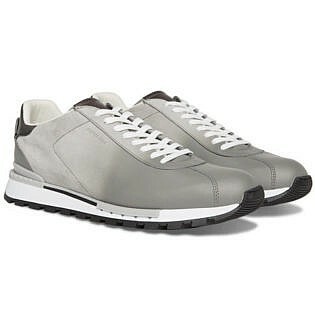 Just look out for unique and sleek leather varieties to make your outfit work.